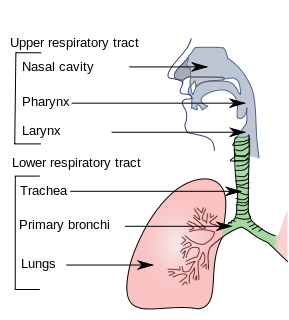 The trachea is a tube inside the human body that connects the larynx (voice box) with the lungs, allowing passage of air. A trachea is also referred to as a windpipe. 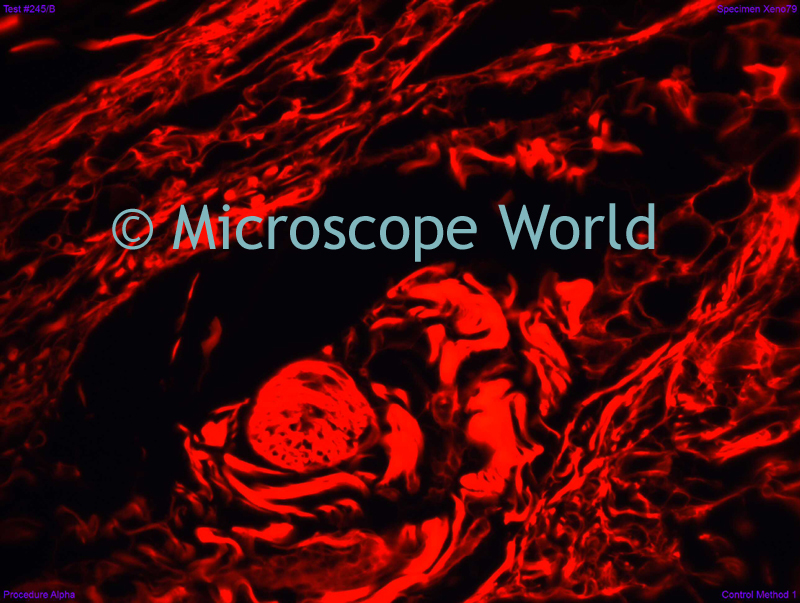 The trachea is lined with pseudostratified ciliated columnar epithelium cells with goblet cells that produce mucus. Mucus lines the cells of the trachea so that it can trap inhaled foreign particles that the cilia then waft upward toward the larynx and finally the pharynx where it can be either swallowed into the stomach or expelled as phlegm. There are about fifteen to twenty incomplete C-shaped rings made of cartilage that reinforce the anterior and lateral sides of the trachea to protect and maintain the airway. The trachealis muscle connects the ends of the incomplete rings and contracts during coughing, reducing the size of the lumen of the trachea to increase the air flow rate. Illustration courtesy of Lord Akryl, NIH Cancer.gov. Trachea captured with a FITC filter using the MT6200H Epi Fluorescent microscope. 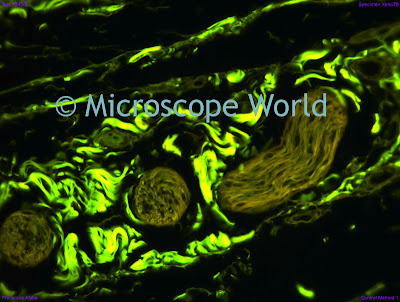 Trachea captured with a TRITC filter using the MT6200H Epi Fluorescent microscope.